SecurityStockWatch.com: Thank you for joining us today. Please give us an overview of your background and a brief company history. Don Rosacker: Thanks, I’m delighted to join you. I have extensive executive-level experience directing startup, emerging growth, and public organizations in the areas of technology, software development, identity management, and homeland security. Today, as the managing partner of D4 Consulting, rather than working for a single firm, I am offering that expertise to a range of clients. SecurityStockWatch.com: One will read on www.D4ConsultingGroup.com that, “With over a century of combined experience in the areas of business and government, D4 Consulting Group’s team brings a wealth of experience in senior management positions in public and private companies; federal elected office; positions in federal, state, legislative and judicial branches of government; military, and industry relations.” Please give us an overview of the services D4 provides and a brief profile of your management team. 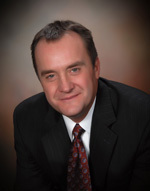 Don Rosacker: D4 Consulting Group is a business development and government affairs strategy firm. Backed by our unique portfolio of executive experience, we provide our clients with relationships, process know-how, and innovative strategies. Our goal is to accelerate client growth in both the public and private sectors within the United States and internationally. We’re very fortunate to have put together a stellar management team. Members of D4 Consulting Group's team have served as company founders, board members, and CEOs as well in a variety of government positions. For example, Partner David Funderburk served as the U.S. Ambassador to Romania for four years and as a U.S. Congressman from North Carolina. Partner Phil Lago is nationally recognized in the fields of emergency preparedness, continuity of operations, and continuity of government, and most recently was the Executive Secretary of the National Security Council (NSC). Dave Carey, a recent Executive Director of the Central Intelligence Agency (CIA), has logged over thirty years in the CIA and the intelligence community. Other members have served in roles such as Health and Human Services (HHS) Acting Deputy Chief of Staff, Director of Government Affairs for J.C. Penney Company, Inc., Chairman and CEO of Geometrix, a 3D facial identity management company, and worked for U.S. Presidents Reagan and Bush, U.S. Vice Presidents Quayle and Cheney, as well as Senator John McCain. This talented team understands the processes involved in successfully implementing a business development plan and can provide end-to-end solutions driven by the capabilities and the network of all our staff members. Simply put, we provide a force multiplier effect for each client’s investment in business development services. SecurityStockWatch.com: What are your target markets and what is your perspective on the market drivers in these markets at this time? Don Rosacker: D4 Consulting Group provides relationships, process know-how and innovative strategies to those who wish to do business with the federal government. In particular, we are targeting the areas of homeland security, defense, intelligence, information technology, healthcare, energy, and international government relations. In the IT space, for example, clients are concerned with legacy systems and processes that are not keeping up with new threats to identity management, possibly resulting in the exposure of personal and other critical data. Homeland security and intelligence clients are responsible for securing the ongoing collection of data and protecting against security breaches. D4 Consulting Group’s extensive knowledge of the process, the politics, and the decision makers and influencers of revenue in the public sector provides us with the advantage clients need to drive revenue more quickly and efficiently. Introducing your clients to over $1 billion in business opportunities. Identifying and facilitating delivery of an $8 million federal contract for a particular client. Identifying an opportunity with US VISIT for another client and helping them secure a multi-million dollar contract. Without divulging any confidential or proprietary information, of course, care to elaborate? Don Rosacker: D4 Consulting Group is all about impacting the top line of our clients, and our success is measured by a real return on investment (ROI). Domestically, our relationships range from top-appointed positions at federal and state agencies, system/defense integrators, and solutions companies, to the employees and decision influencers performing technology evaluators and integrating solutions. Internationally, we work with prime ministers and ministers of key agencies, private sector businesses, and U.S. embassies to create a positive result for our clients. Through these robust relationships we can insert our clients into the right programs at the key times to deliver the result they want—revenue. We have our fingers on both large, strategic programs that can range in the hundreds of millions of dollars down to smaller pilot programs that help our clients get a beachhead for their services or technologies. We focus on real funded programs where we know we can offer a measurable strategic advantage and have the relationships that can create results for our clients. SecurityStockWatch.com: Are there any other “wins” or success stories you’d like to talk about? Don Rosacker: At D4 Consulting Group, we take great pride in our ability to build revenue-generating domestic and international strategic partnerships. These are not simply marketing programs whereby a client can put a partner logo on its website. Rather, they are partnerships in which the alliance partner is investing both directly and indirectly into our clients and helping drive revenue. A recent example was our team’s delivery of a worldwide technology and business development partnership with one of the world’s largest system/defense integrators. Right out of the gate, they have identified over $150 million in teaming opportunities. SecurityStockWatch.com: Are there any particular strategic relationships at D4 you’d like to mention? Don Rosacker: Strategic relationships and alliances are at the heart our business. Clients sometimes have access to considerable amounts of data but need helping in cutting through the clutter to find the right people to work with, isolate the most valuable pieces of information, and determine a strategic path to pursue their objectives. That’s where D4 comes in. Through our years of experience, we have formed relationships with key players in four strategic areas: Capitol Hill, government agencies, system and defense organizations, and solution providers. We leverage those relationships to help clients understand the process, meet the right people, including those who shape public policy, and navigate the flow of activities to effectively meet their goals. SecurityStockWatch.com: Thanks again for joining us today. Are there any other subjects you’d like to discuss? Don Rosacker: Thank you for your time. I’d just like to add that at a time in our economy when every dollar counts more than at almost any other time in our history, D4 Consulting is all about driving revenue, increasing profits, and ensuring a return on investment in a measurable, quantitative process. The end goal is always to accelerate growth in both public and private sectors, and we work closely with our clients to make that happen.